If you’re like me, the second request seems easier to agree to than the first. I don’t want to waste my day taking some random survey, but I suppose I can spare two minutes. One of the reasons it’s so hard to get started on homework (or other undesired activities) is that we don’t know when we’re going to finish. Because of that, starting that project you’ve been putting off feels like tumbling into an abyss of endless non-fun time, rather than just one small part of a regular day. So, when motivating your kids (or yourself) to start something work-related, it might be just as worthwhile to talk about when it’s going to end as when it’s going to begin. This makes the commitment concrete and bite-sized. There are many aspects of life where we willingly take on challenges because we look forward to the visceral achievement at the end. This, in fact, is the principle that makes video games so addicting: They woo the player into putting forth effort and time with the tacit promise that the effort and time will be rewarded. Breaking tasks into time-limited chunks borrows that effect. Your son isn’t sure he can finish the essay satisfactorily, so he doesn’t want to start. But if you substitute a more manageable challenge — simply working on it for 20 minutes — there’s at least some feeling of accomplishment when the 20-minute timer goes off. 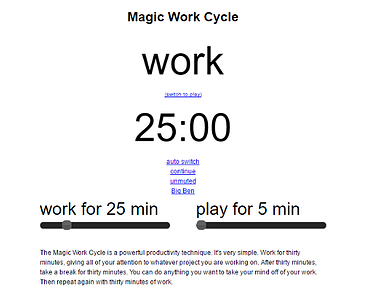 Harnessing time like this also allows you to control and make use of distraction. First, and most obviously, it’s easier to prevent yourself from becoming distracted when you know you only have to hang in there for a few more minutes. And, more subtly, using a timer distracts you from the bigger challenge (finishing the essay) by directing focus toward a smaller one (work on it for 20 minutes). 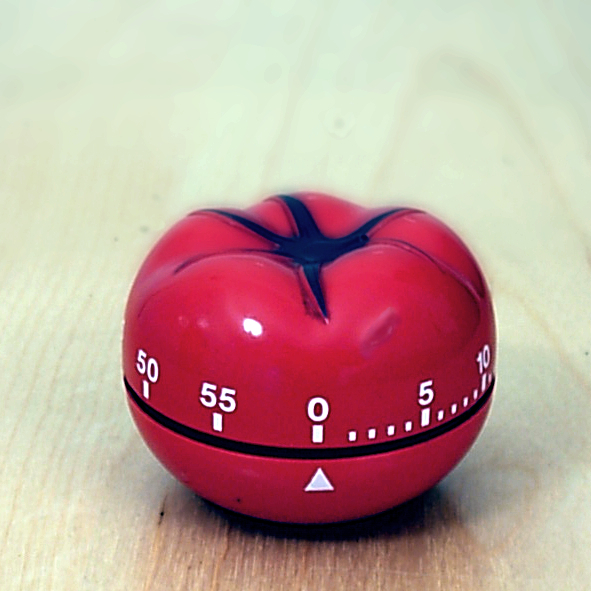 One popular method of promoting starting work by keeping its end in sight is called the “pomodoro technique.” (Pomodoro is the Italian word for tomato, and the technique was invented by a person using a tomato-shaped egg timer, like this one.) The pomodoro technique is structured and regimented: Set the timer for 25 minutes and get to work; when the timer goes off, take a 5-minute break. After the five-minute break, start another 25 minutes. After four of these intervals (called “pomodoros”), take a 20-30 minute break. Still unsure if this will be helpful for you or your child? Don’t feel like you have to make it permanent life change -- just try it for 25 minutes! Does your child need help breaking down projects into smaller, achievable chunks? Download our Project Planner Guide — try using it with Magic Work Cycle to help your child get started on a long-term project. 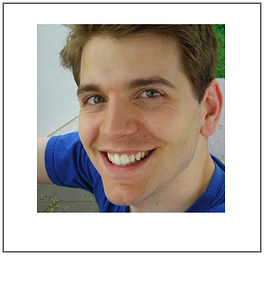 Dan Messier is an Executive Function coach with Beyond BookSmart from Holbrook, MA. He received his bachelor's in English from Eastern Nazarene College in Quincy, Mass., and his master's in English composition from the University of Massachusetts Boston, where he has taught first-year writing as a member of the English department since 2010.